Notice the U shaped light to the right of the light bulb in the ceiling. The blurriness could be attributed to an orb in motion. 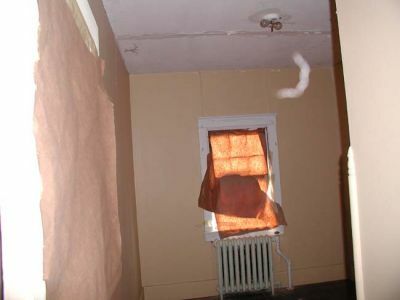 During the investigation, the south side den was one of the hot spots for orb activity.